Hello friends and backers! We are so thrilled by the excitement and support that our project is generating. Just yesterday morning Tablet Magazine published a long feature article about alternatives to Jewish circumcision—and our Kickstarter campaign was prominently mentioned. On June 26, Lisa wrote a wonderful piece for the Huffington Post about brit shalom families. And Dr. Mark Reiss has just returned from Israel, where he connected with many Humanist rabbis there who are willing to perform brit shalom—a connection that was made after one of those rabbis found our project and reached out to us! Dr. Reiss' Celebrants of Brit Shalom list now has 200 officiants—13 of whom are in Israel. In two weeks we'll be heading to Boulder, Colorado for the Genital Autonomy 2014 conference, where Lisa will be speaking about non-circumcising families in the Jewish community and Rebecca will be speaking about her web project Beyond the Bris. Additionally, Lisa and Rebecca will be presenting together about the "Celebrating Brit Shalom" book and song project. We'll be sharing in greater detail about the ceremonies we plan to include in the book, as well as playing a sneak-peak of the songs. As of today, we're 64% funded. 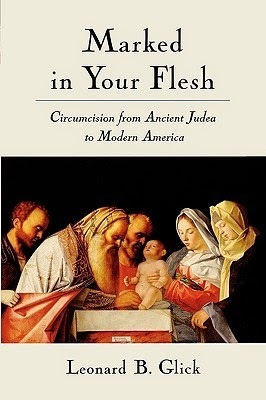 To help our efforts, cultural anthropologist Leonard B. Glick has just donated two signed copies of his book, "Marked In Your Flesh" (Oxford University Press 2005)—and we've added them as rewards at the $60 level. We'll also include a copy of "Celebrating Brit Shalom" and the songs. For those of you on Facebook, when you come across news about our project, please "Like" and "Share" liberally. (Of course, feel free to spread the word first as well.) A Facebook "Share" can be priceless, with its power to let new people know about the Jewish movement to question circumcision. Thanks so much for your continued support!